Nothing is better than having a little fun with an old friend. 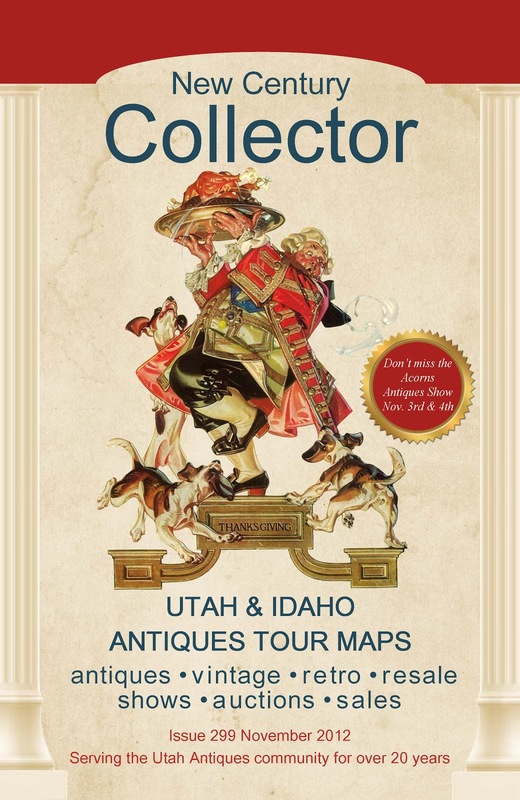 And, every month for almost 25 years, just like an old friend, Utahans have looked to the to the New Century Collector for their antiquing news. 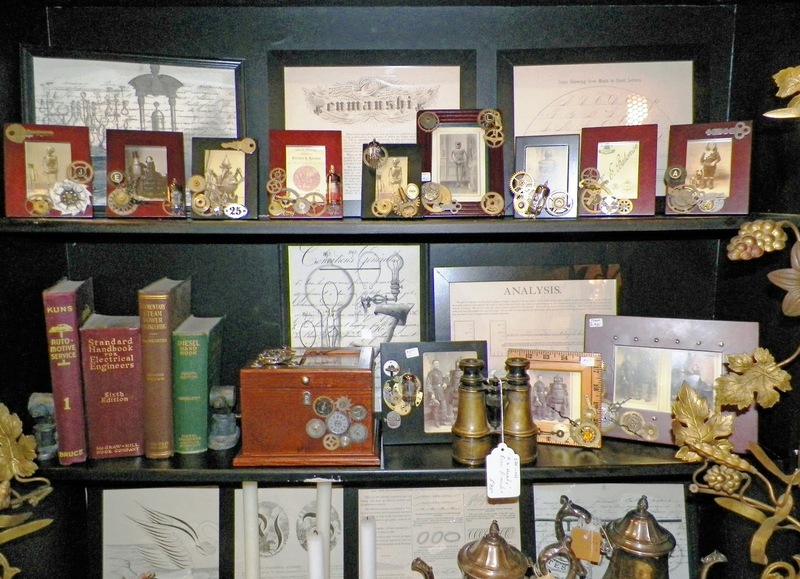 You can always rely on the Collector for the latest information about antiques, vintage & resale shops, along with everything you'll want to know about uncoming shows, auctions and markets. So, why wait, Here's the November issue of the NEW CENTURY COLLECTOR. You know you want to take a peek. You know the drill, just follow the link below to get an early look at the publications Utah collectors have enjoyed for a quarter of a Century. to get ready for the move to their new digs. 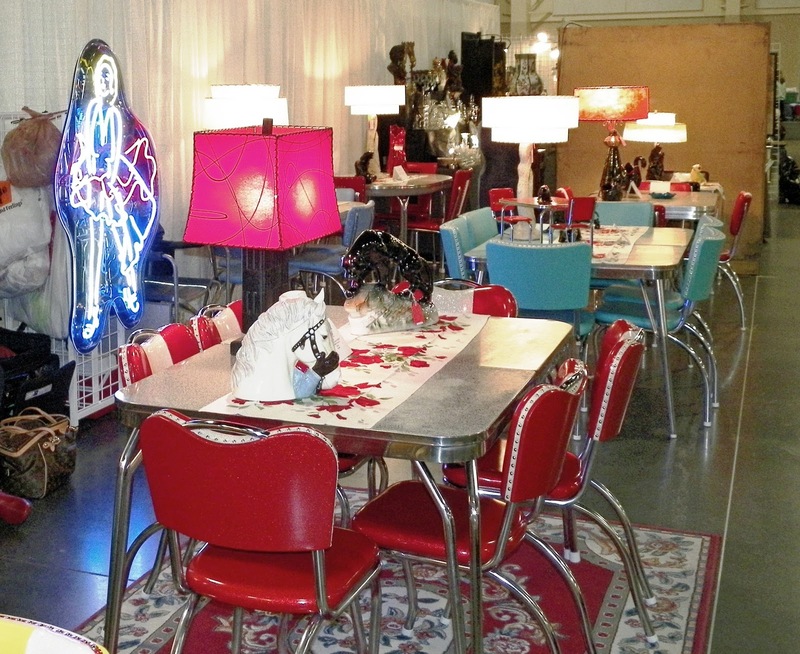 Everybody loves a sale, and this week "the" place to be is at ABODE. 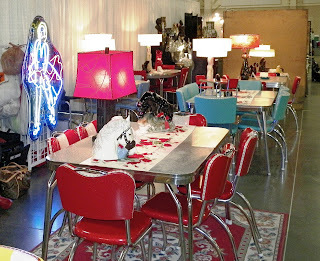 The Sugarhouse vintage shop will be moving the first part of November to their new location on 3300 So., and needs to lighten the load before they pack the moving van. The good news for shoppers, is that means it's a buyers market until they close on the 31st. Stop by and make yourself a deal on something you love! WHEN YOUR DADDY TOLD YOU THAT GOOD THINGS ARE WORTH WAITING FOR, HE WASN'T PULLING YOUR LEG! 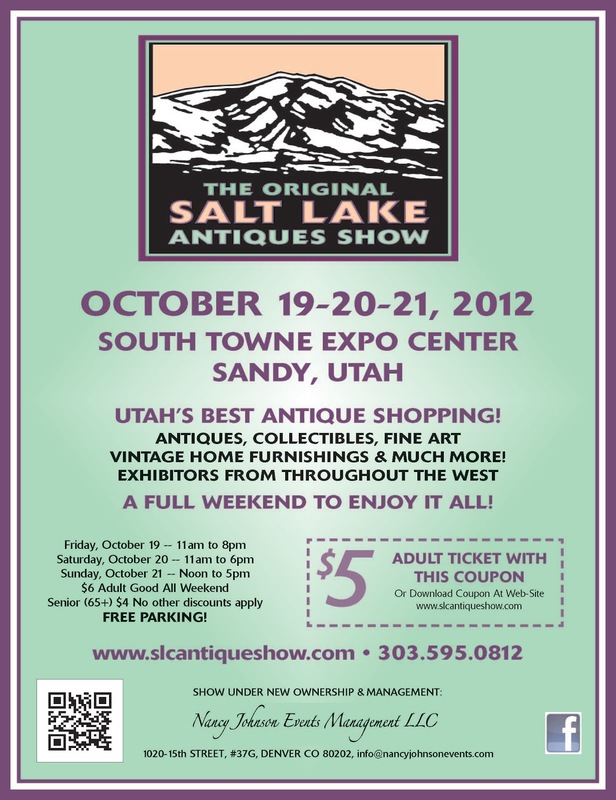 It seems far too long since the last antiques show in the Salt Lake Valley. It was last February, that long time antiques show guru Walter Larsen packed up his tent, put his Bermuda shorts in a suitcase, and decided to spend the rest of his time soakin' up the rays on a cruise ship. The good news was that on his way out the back door, Walter did us all a favor, and sold the Original Salt Lake Antiques Show to Denver show promoter Nancy Johnson. 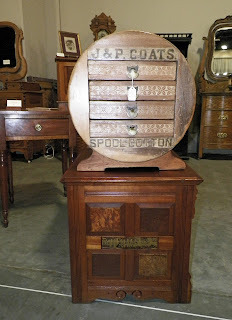 And, just like little Carol Ann in Poltergeist said "Their Here"
I had a chance to walk through this weeks Original Salt Lake Antiques Show during set up, and just like daddy said, this one was worth the wait. The show is bigger, better and more discerning than what the Larsen show had become in its waning years. 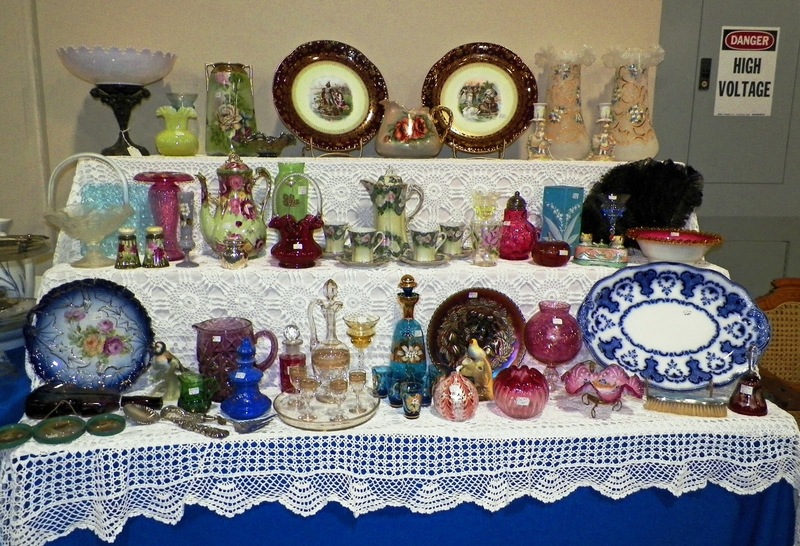 Along with a cadre of Utah's finest antiques dealers, a diverse group of antiques sellers from 15 States are displaying their wares. I took a few pictures as I walked around. As you can see, this show offers a bit of everything. 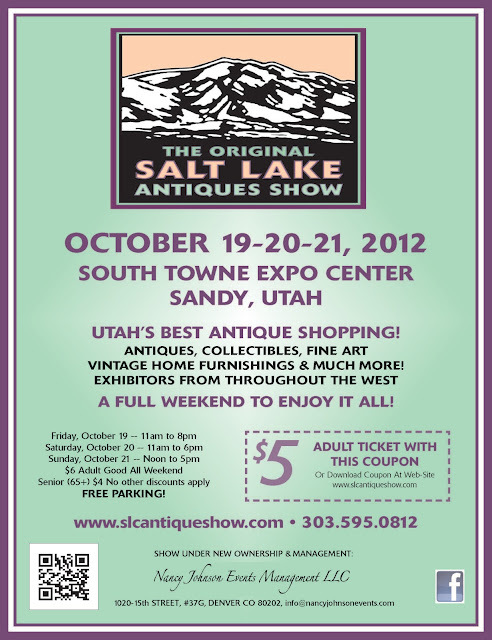 THE SHOW STARTS TOMORROW, (FRI. OCTOBER 19) AND PROMISES 3 GLORIOUS DAYS OF ANTIQUING. I'LL BE THERE WHEN THE DOORS OPEN! 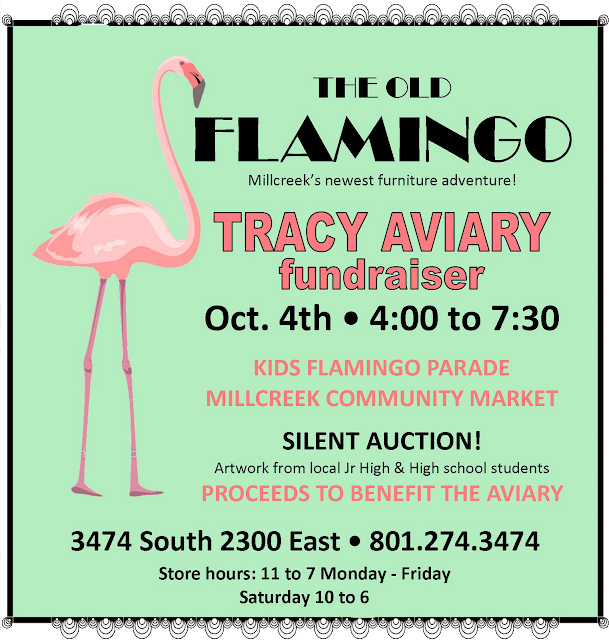 Help Peter & Missy Coombs, along with the rest of the Old Flamingo clan, give back a little, at a fundraiser to maintain the flamingo flock at the Tracy Aviary.